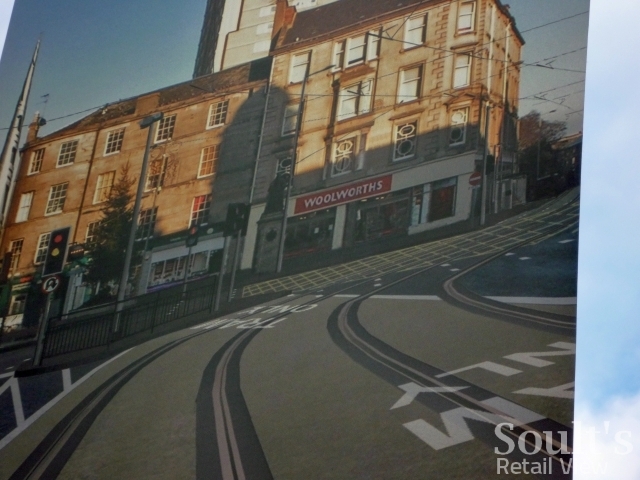 Last week I blogged about the former Woolworths sites in Hawick and Galashiels, making reference to the relative dearth of Woolies stores in the Scottish Borders. 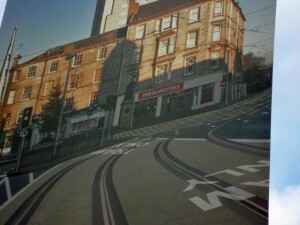 Head up the road to Edinburgh, however – as I did last weekend – and there’s no such issue. By my reckoning, the city has played host to eight Woolworths stores over the years, and I managed to sneak six of those into my itinerary – the first of which we’ll talk about in a moment. The remaining two – a traditional Woolworths store at Corstorphine (store #1100, now Benson for Beds), and the former Big W at Milton Link (#1208, and still empty as far as I know) – at least give me an excuse to revisit the beautiful and vibrant Scottish capital before too long. From Woolworths opening its first British shop on 5 November 1909, Edinburgh had to wait a surprisingly long time – until 31 January 1925 – before gaining a Woolies store (#180) of its own. 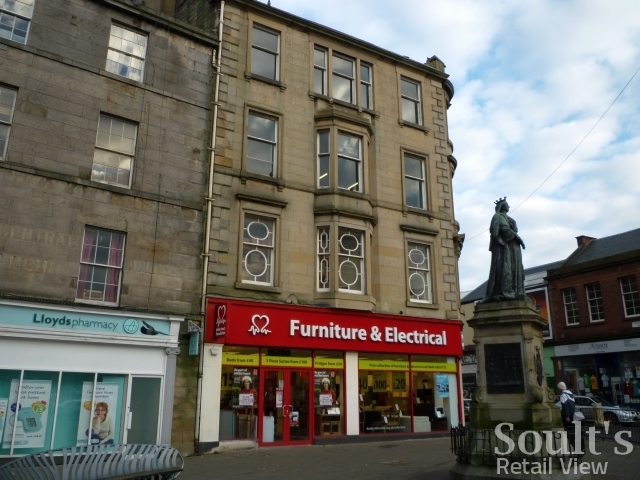 Even then, the shop was at 170-174 Constitution Street in the port of Leith, at the Foot Of The Walk, rather than in Edinburgh proper. 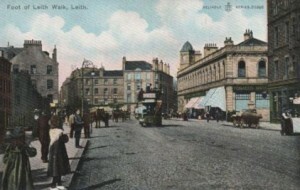 The building, however, clearly predates Woolworths’ arrival (as shown in the early 1900s postcard below), the opening coming a few years before the chain began investing in purpose-built stores in significant numbers. 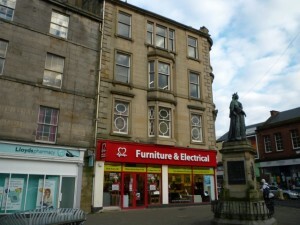 The Leith store lasted until Woolworths’ collapse – closing its doors on 27 December 2008 – and is now, like quite a few other ex-Woolies elsewhere, partially occupied by one of the British Heart Foundation’s furniture and electrical shops. However, my other half’s beady eyes spotted a nearby lamppost banner, promoting Edinburgh’s much-talked-about tram system, on which Leith’s Woolworths still lives on. 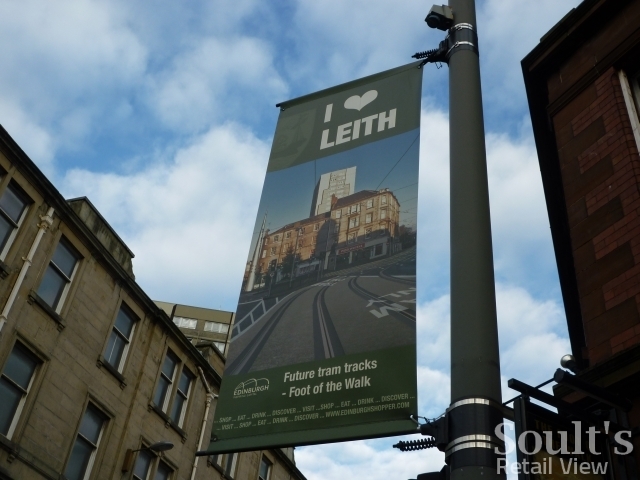 Whoever’s behind the poster might well ‘Love Leith’, but showcasing a defunct shop and a tram line that’s no longer going as far as Leith seems a slightly unfortunate way of declaring it!